Here is a fun DIY project to weave a four strand braided ribbon. It looks really stylish! I remember I enjoyed doing a lot of these when I was in elementary school, to keep it for myself or send as gift to friends. You can use one color of ribbon, two tones of ribbon or even four different colors of ribbon. It can be used as a key chain, bracelet or ornaments for other crafts projects. 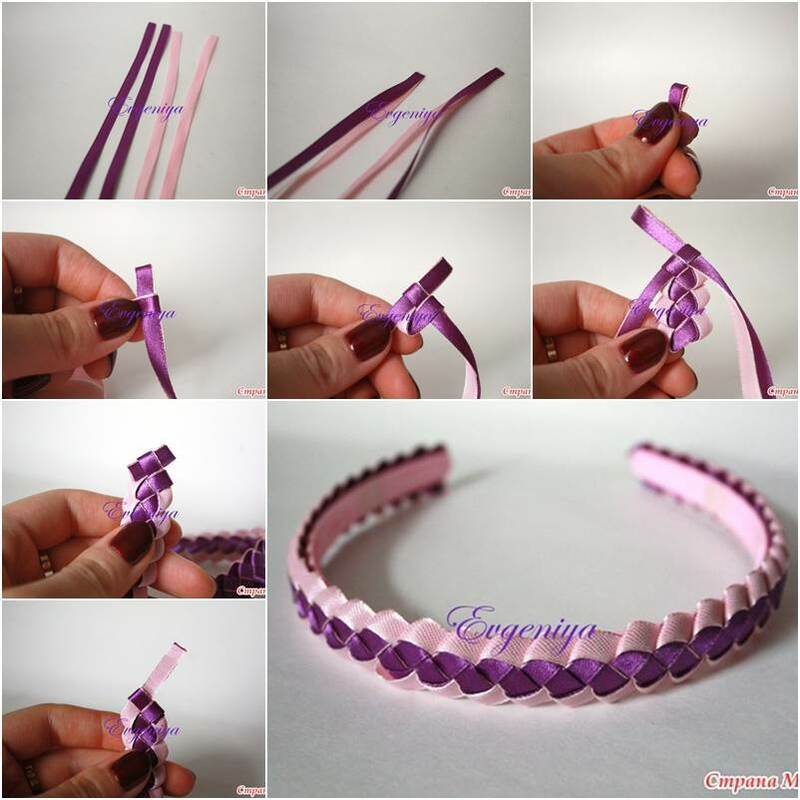 You can also attach it to a basic hairband and make a pretty hairband, as shown in the picture. I am sure you can come up with more ideas how to use it. Just take your favorite colors of ribbon and start braiding. Happy crafting!